AKTI participates as partner in the bi-communal project called ‘Go Social: Supporting Employability through Social Entrepreneurship’, August 2018. 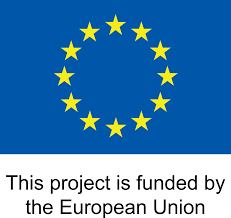 The project is funded by the European Union (Grant Contract: 2018/397-788) under the “Innovation and Change in Education VII” Grant Scheme. It aims at reinforcing the participation of individuals in society by providing new skills and learning opportunities in social entrepreneurship, thus supporting employability in Cyprus. The project is encouraging the development of social enterprises in Cyprus by identifying and supporting new innovative ideas and initiatives that can meet social, economic and environmental needs, while also enhancing inclusive growth and sustainable economy. The project’s target groups, mainly women and youth, are engaged in awareness raising, capacity building, work-based learning, study-visits and networking activities in order to improve their entrepreneurial skills and get easier access to the labour market. All events and activities will be promoted through traditional and social media tools and interested people are strongly encouraged to grasp the opportunity and ‘’go social’. For more information on the project and its up-coming events, please visit the website www.gosocialcy.eu or like our Facebook Page ‘Go Social Cyprus’. This Project is funded by the European Union and implemented by the Famagusta Walled City Association (MASDER), AKTI Project and Research Centre and the Famagusta Women Centre Association (MAKAMER).